We all know that age is inevitable, as we grew up the same with age also. There is growing number of elder people . Though, they might have struggled all along life for their better future to spend rest of it with happiness and prosperity. But now-a-days many parents are being sent to old age homes, because the children of such parents after reaching their heights don’t even look after them. Just send them to old age home are care centers and they will forget about every thing that their parents have given birth and brought up. Of course this is what actually new generation is following. The pain which they feel is inexpressible. money, health are not only components but the main thing they need is love of children and grand children. Mr. Sanjay thumma, in meeting Taralu-Antharalu arranged by YSSR Foundation, -has pin pointed the main problems of our senior citizens. In many cases, grandchildren are denied to meet the grandparents for no faults and have no custodial rights to acquire them. The only fault of these senior citizens is being old ,on behalf of CRISP India, he is fighting against this prejudiced corner for to give equal rights to both the grandparents. 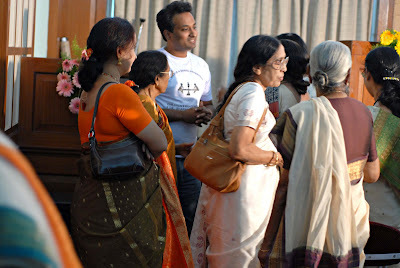 Sanjay Thumma emphasized how many of us waste a valuable portion of our life in bickering and complaining ,instead how we can use the same time doing good to the community we live in . Sanjay Thumma felt the need of every citizen to create awareness among common people about the Rights of every human being ,women, child , man, mother ,father, sister and specially senior citizens . Soon after coming from USA Sanjay felt the need to start a NGO to cater to the need of victims of some biased laws and to educate people on Right To Information. .
Redressal of grievances is free of cost. 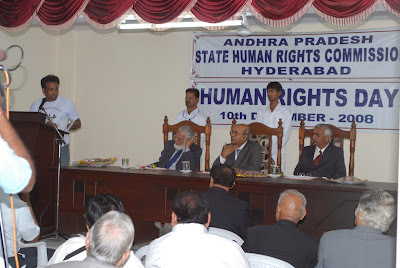 Hon’ble Sri Justice P. Ramkrishnam Raju ,Lord Hon’ble chair person Subashan Reddy, MR.Ismile,Mr.Vittal,DGP Yadav , Heads of various Goverament Institutions where others among few key note speakers. Finding this Indian cooking website has changed my world. I can cook basic Indian food, thanks to my mum, but when it comes to anything a little complicated, I get a lazy -- especially because (from experience) -- after a hours of work, the end result has not been worth the effort. I would also blame the disaster dish on me living in Spain: "All the spices are not available and what are available just don't taste the same." It's all rubbish. What I needed was a good guide and I think this is it! A bad translation of "vah reh vah" in English would be "that's just awesome", but it's enough to give you the gist. 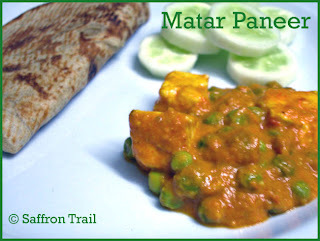 The website has recipes of over 230 Indian dishes, but the best part is that many of the Indian recipes have a video guide to go with them. The "Vah chef" Sanjay Thumma is a great host. Very Indian. But great. His passion and talent for cooking is evident in the videos. For example, in his video that teaches you how to prepare Hydrabadi Biryani (one my favorite Indian dishes), he gets a little emotional in the end; when he tastes what he made, I'm pretty sure that his eyes welled-up with joy! Another element key in making this website a super hit: Since it is targeted towards non-resident Indians, he often mentions in his recipes ingredient replacements should you not be able to find something specific in your country. You can also help yourself on this front by checking out the site's Cook's Thesaurus. You can also access Sanjay Thumma's video channel on YouTube. He is quite a personality, you will enjoy watching him. He has won a gold medal for his recipes in the All-India Chefs competition for culinary arts, and all the video work is his own production done in his digital studio, that by the way, has just gone HD! Other than Indian food, there are recipes for other cuisines; however they don't have video content. A must visit if you want to cook some good Indian food. Well, its the season of Corn. I was looking for some easy snack recipes with it and came across this one at Vahrehvah.com. The first time I made it last week when my friends were over, but that time they turned out pretty hard as I added too much flour to make the batter thick and hold shape. Today I tried it again and instead of adding flour, I decided to use bread crumbs for the binding. 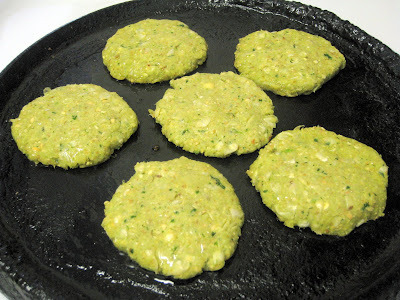 The patties turned out to be great in taste, even my son liked them a lot ( ya, usually it takes a lot to get him to eat something which I take pains to make ;) . Bread Crumbs - as needed for binding. Alternatively, use maida/all-purpose flour. - Using your knife, scrape the kernels off the corn. Just hold the corn vertically with one hand and run your knife through it with the other. Keep aside. - In a mixie/blender, add the dalia, green chillies, cilantro, ginger, garlic, garam masala powder, and jeera and pulse till a dry coarse mixture is formed. DO NOT ADD WATER during this. - While still retaining the mixture in the mixie, add the scraed corn also to it and pulse again till its all well combined but the mixture is still slightly coarse. - Remove from the mixie into a bowl ( it might be little wet at this point). Add salt and bread crumbs/all purpose flour accordingly so that the mixture holds and you are able to hold shape. - Now, take a small ball of mixture, flatten it with the palm of your hand and place on hot tawa. Drizzle oil all around and on top of it. When one side is browned, turn and fry till done on other side too. - Serve hot with chutney or ketchup. 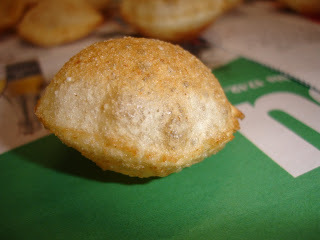 Note: Deep frying gives them get a better color, but I made the shallow fry ones so that little less oil. 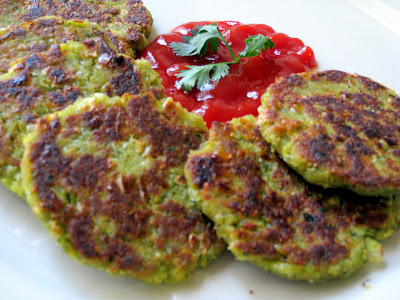 So you can use the same mixture and make slightly thick and oval shape patties or balls and deep fry them till they turn golden brown in color. I found bread crumbs give a better taste than flour, so I prefer bread crumbs. Even though these vadas here don't look as good as the deep-fried version, they were very good in taste. So do try them :).. I have always been a good eater and of late the cook in me sprang up to life..the physics involved in dosas ,the artistry in samosas etc have always fascinated me...but whenever ive tried to cook something i get chased out of the kitchen.Maybe the ladies in my home are afraid of my talents. And who says interest is enough to achieve things? ?all my attempts in serious cooking have ended up in vain.Perhaps theres much more involved in this than mere interest-the right recipe,utensils,timing,ingredients,quality all seem to play a role in this..
My favorite Indian Cooking Site, with the recipes demonstrated on VIDEO! "Oh I am trying to selling the world on healthy, authentic and fresh cooking with fresh ingredients and today it was "Chicken 65" which I just finished demonstrating and recording", he says with a faint smile." 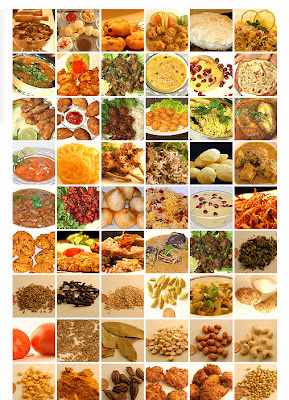 "Vahrehvah.com has the potential to shake up the Internet food portals like no other Food site has." Vahrehvah.com is my favorite cooking site! If you would like to learn authentic indian cooking simply and easily and like being around happy, fun, glowing, passionate people, even if they are virtual, then you will love it too! Actually, it is not just for indian food "Your vah-reh-vah chef" teaches indian foods (he comes from Hyderabad) and is growing the site to include many other cuisines and even asks you to post your recipies. I coppied all the rest from an interview on the site, if you want to read some more, but really, you should just get on there and get cooking! "...the layout and design is built intuitively with allocated space for recipes classified by their origin and place on the food chart as well as by course on the menu. So for instance if you were to have a craving for Shahi Nizami cuisine and had some Chicken in the freezer and felt like making a lip-smacking entree out of it, all you have to do is access vahrehvah.com and search by chicken for an entree and Voila! You not only have the detailed recipe and cooking method and ingredients listed out but the amazing thing is you also have a video demonstration of the dish being prepared in Sanjay's chirpy and laughingly humorous manner. That is what is interesting too." "...What I like about Sanjay's site is that the video actually takes me through a step-by-step process to explain exactly how to go about acomplishing this. For someone like me-and for you too I am sure, looking at it being prepared tells you exactly when to throw onions into the pan or why does mustard have to crackle or even what exactly goes into the Tandoori Masala you go and buy at the store. To me that rocks! It quite simply allows Mr. Nobody to impress friends and family with learnings from a gourmet. Suddenly I am chef somebody and my kids love it. I dare say I even have my wife talking about it with her girlfriends. "...What I truly like about the site also is that it is participative. It does not lock the user out. In fact it locks them in. They register, they get hooked on his easy style and humor and ability to laugh at himself. Before they know it they are enthusiastically commenting and he is inviting them to post their own recipes on the site. A separate section on the website allows the user to claim their own spot of fame by posting recipes and videos that contribute to even more participation from fellow users. "This is going to be a food community soon" I inform him. 1. Grind peanuts, sesame seeds, coconut with water. Make a smooth paste. Keep aside. 2. Heat oil in a pan. Add mustard seeds and when they start spluttering, add cumin seeds and curry leaves. Add cloves, bay leaf, cinamon stick, elaichi. Fry for a minute. Then add chopped green chillies, onion and hing. Fry onions till it gets golden brown. 3. Add turmeric powder, ginger - garlic paste, red chilli powder, coriander powder, cumin powder, garam masala. Fry for a minute. Then add tomato paste and some salt. Add some water and bring it to boil. 4. Then add paste of peanuts, sesame seeds & coconut powder & water. Cook for 10 minutes. 5. In mean time, make slits to eggplant (don't cut end). Shallow fry or deep fry them till they are 80% done. 6. Add these brinjals to gravy. Then add salt, tamarind juice, jaggery. 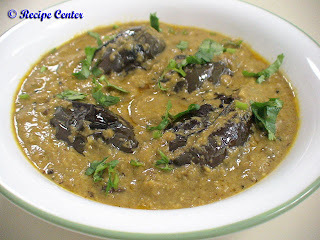 Cook this gravy on medium heat till brinjals are 100 % cooked. 7. Garnish this with chopped coriander leaves. Serve hot with pulao, biryani or chapati. 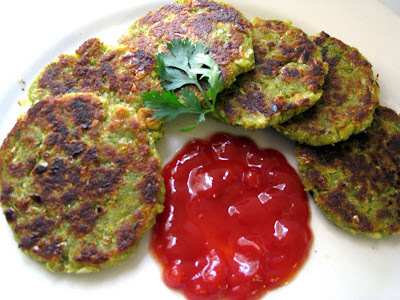 Title : Got interested in cookingReview : Hi Sanjay I have never cooked in my life. I am 67 years old and you got me interested in cooking!!!!!!!!!!!!!!! Thanks a million. Now I will never go hungry or never eat in restaurant. My wife is a great cook so I never got in to cooking. By watching your videos I started cooking. I made Nan, Dosa, Tandoori Chicken, Meduvada and Dahivada, Sambhar etc. Ev ery item I cooked from your video came out excellent in first try only. This is called Vah chef so the appropriate name. I am so excited that I even cooked for my friends and guess what they enjoyed it. They didn\'t believe me at first since they know I never cooked before in my life and they were scared to eat whatever I cooked. So Thanks Sanjay I appreciated your video and keep it coming. I am going to tell my wife to post her some great recipes.. All your recipes are great. 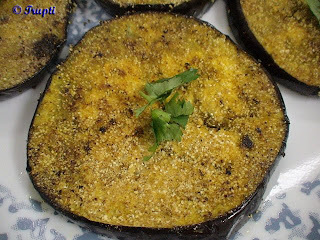 This is an easy to make eggplant fry, which goes extremely delicious with rice and dhal. We really enjoyed this combination.BTW I didn’t make this,,,my beloved hubby kumar made this for me from his favorite cookery show(Vahrehvah). I am just posting this recipe to encourage him (hope he like the encouragement and will make more yummy dishes like this..he..he).Here is recipe how he made this…. 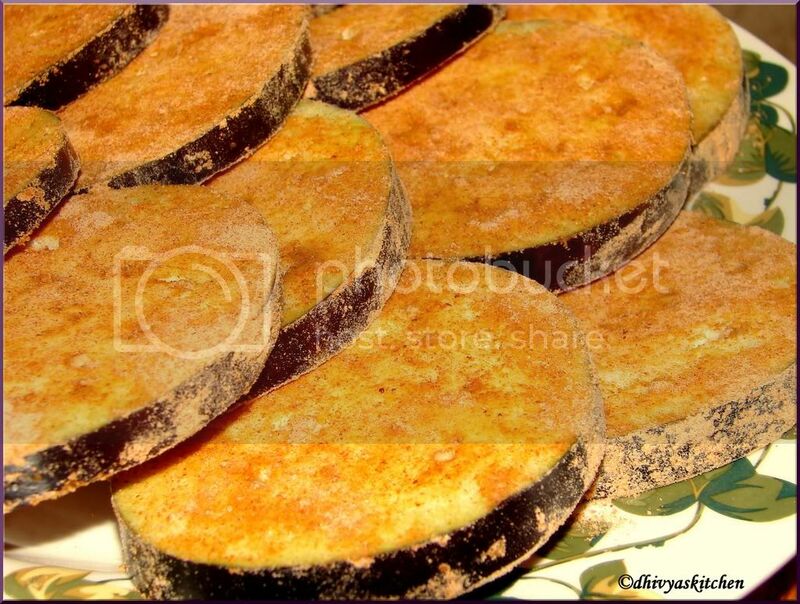 Cut the eggplant into thin slices (1/2'' thickness) as shown in picture. For marinating mix chili powder, turmeric, rice flour and salt. Apply this dry mixture on the eggplant both sides. In the pan add 3tsp of oil and let it heat. 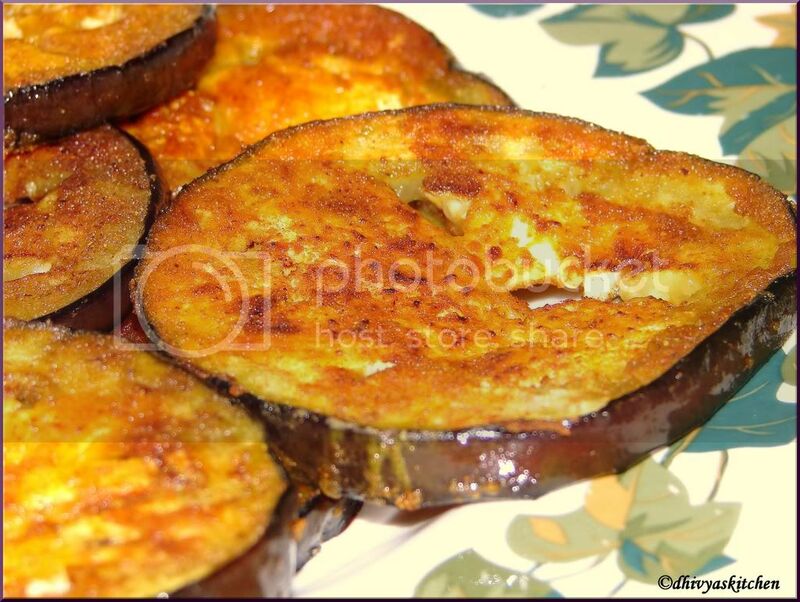 Now put the eggplant pieces one by one and cook it on a medium flame. Turn frequently until brown color. Once its cooked remove from the pan and do the same with rest of the pieces. Serve it with hot rice and dhal. 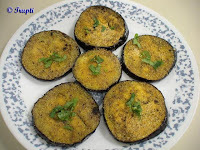 I am sending these eggplant dishes to pooja's Vegetable Of The Week-Brinjal. Wieder mal auf wikipedia und was sehe ich da! We were looking for a good recipe for butter chicken and came across VahRehVah which looks to be a great resource for Indian cooking ideas. Many of the recipes have videos including this one. I think we’ll be looking there often for inspiration since we are so into Indian food lately. In a medium size bowl add 1 tsp. ginger paste, 1 tsp. garlic paste, salt, 2 tsp. red chili powder. Cut chicken into small bite sized pieces and thoroughly coat in the mixture. In a good skillet, add 4 tbsp. oil and fry the coated chicken in the oil until the pieces are about 3/4 of the way done. Remove from pan and set aside. To the leftover oil add cumin seeds, cashews, coriander powder, 2 tsp. red chili powder. Roast mixture, stirring constantly for about 2 minutes. Add onion to the mixture and saute to soften (2-3 minutes). Add 1 tsp. ginger paste, 1 tsp. garlic paste, chopped jalapeño, and chopped tomato, cilantro leaves & 1/4 c. water to the mixture and cook on medium heat for 10 minutes (or until tomatoes have broken down), stirring occasionally. Now add the mixture to a blender or food processor and add melted butter and cream. Blend until a smooth consistency. Now taste the sauce for the right amount of spice & salt. If it’s not spicy/salty enough add cayenne pepper and/or salt, to taste, and blend some more. Return the sauce to the pan and add chicken (and any liquid that has settled from the chicken) and a few squirts of tomato ketchup. Stirring occasionally, cook for another 10 minutes over medium-low heat (or until the sauce is thick to your liking). Serve over Jasmine rice and garnish with cilantro. Sanjay Thumma- Redefining Indian Food Teaches self-catering. The Indian Chef is now a Million Hit Net Wonder! What made him a phenomenon in such a short time? He even had to upgrade his web servers to cope with the deluge! Yes he is different. How different? 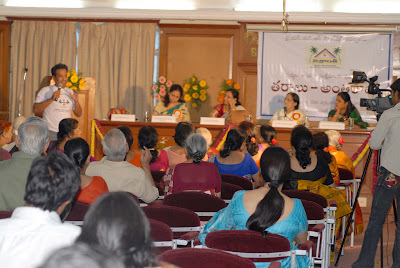 To know firsthand you must log on to his site www.vahrehvah.com. But let me continue, there you will see hundreds of very high quality web videos, many of them guarded top recipes straight from the kitchens of highly acclaimed and world famous "seven" star restaurants. Equally presented are many secret "Home Cooking" recipes from the kitchens of moms and grandmas. These videos became such a big hit in the net, even India' NO.1. news portal in the web decided to invite him to be a content partner and his Lemon Rice recipe received 10,000 instant hit on their homepage. The step by step details shown in these videos and the many intricate "secrets" revealed along the way has created many fans among the net generation, who is after him asking for more! Sanjay has graduated from India's Top "the Indian Institute of Hotel Management, Catering Technology and Applied Nutrition". He Won the prestigious Gold Medal All-India competition for culinary arts for his Recipes. Been "Chef"ing in "7 Star Hotel Restaurants" serving Heads of the Nations, at Delhi. He is a computer techie. Created his own Digital Video Studio. Licensed to fly solo. Indian food has never hit as high a peak as it is doing today. There is a great fan-following as well. Many new Indian restaurants are showing up all over the world but many of them with a standardized Indian Menu without many choices. milestones to spill over into the world canvas. And even that somehow sizzles. Many professional chefs have contributed by writing books and doing shows. But I get this feeling in my gut that this time he has the formula to put it all together. 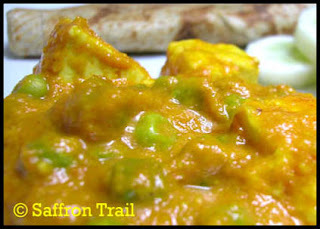 You can get fragments of putting together Indian food from You tube, Google or browsing the shelves at "Borders". But then you crave to get it all in one place. Your couch.. I had a chance to meet this phenomenon called Sanjay Thumma recently when I was hunting for advances on great, authentic, Indian fare. As the world does these days, I headed to my address book and contacted the Mid-West food gurus and heard the new buzz surrounding this gourmet guy. Some thing is in the air they said. So like any self-respecting journalist I decided to check my facts on this other buzz called Google.com . And Lo and behold!! I quickly set up an appointment to meet face-to-face because this promised to scream for really big attention on the food channels. If you have been googling food and food videos or if you are an ardent food enthusiast and love experimenting anything Indian in your kitchen at home, I suspect this story will only help sI had a chance to meet this phenomenon called Sanjay Thumma recently when I was hunting for advances on great, authentic, Indian fare. As the world does these days, I headed to my address book and contacted the Mid-West food gurus and heard the new buzz surrounding this gourmet guy. Some thing is in the air they said. So like any self-respecting journalist I decided to check my facts on this other buzz called Google.com . And Lo and behold!! I quickly set up an appointment to meet face-to-face because this promised to scream for really big attention on the food channels.ubstantiate what you already know and add to the buzz that had existed as a beta out there for a little while now. It is called www.vahrehvah.com Your ultimate destination on the web for anything that is culinary or culinary Indian on the world-wide-web. I quickly fixed a date and time and waded my way through four cameras, the maze of wires and stacks of recording equipment at his set in the heart of down-town Chicago. I wondered if I had come to the wrong place. The strains of someone faintly singing wafted through the outer receptacle. I quickly recognized the Bhairavi from "Shankarabharanam". "So this is what you have been up to", I told the culinary sensation when I finally dragged him away from the hustle and bustle of the spanking new culinary studio. "What was with the music"? I asked him as we sank into a sofa nearby. "Oh it helps me relax between shoots" he tells me. I raise my eye-brows. I can actually smell the rise of stardom. I can smell that over the other aroma in the air. Somewhere in my sub-conscience I am also distracted by the aroma of garlic swimming in traces of chili and curry leaves . "Oh I am trying to selling the world on healthy, authentic and fresh cooking with fresh ingredients and today it was "Chicken 65" which I just finished demonstrating and recording", he says with a faint smile. I am tempted to ask him if I can stay back for lunch. He eases my discomfort. "Would you like to stay and get a taste of the fiery Chicken 65?" he volunteers. The "Sure" came out faster than I intended. We walked past a sound engineer lost in adjusting what seemed like a million dials on a computer monitor and sat down to a simple meal of white rice, yellow dal, Egg Pulusu and a very large tub of Yogurt. I later found out that this gourmet likes to eat simple food with his trademark generous scoops of yogurt. "Why so much yogurt?" I ask. "Oh, we grew up on it at home" he volunteers. 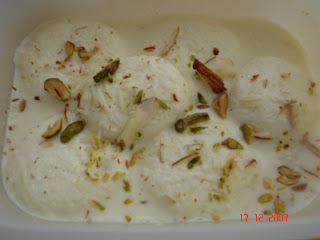 It turns out that the home of this fantastic cook has roots in yogurt-lovingwww.vahrehvah.com Hyderabad in the Southern, Deccan plateau of India. In the heat of Hyderabadi summers where he grew up, yogurt pretty much starts and ends lunch and dinner I find out. "So where did you get your inspiration to cook?" I gush. I want to know what makes this man ? or any great chef for that matter, to devote a entire life and what they do to a passion such as what goes on over a hot, burning, uncomfortable stove. "That would be my mom", he says. It turns out that Sanjay eagerly jumped into the kitchen at a tender age of 8 when his favourite person and his mother - the chef in his life; was hospitalized for a month. He jumped right in and took over. I was amazed. I learned that he was learning how to make rice, basic dal, vegetable preparations and even chappatis at 8 years of age! It naturally led to a passion to make it to Culinary school. In 1989, the Indian Institute of Hotel Management, Catering Technology and Applied Nutrition" ? a large name for an institute I must admit ? was a rather difficult place to get admission. Approximately few 100 thousand aspirants all over India battled a written exam and then went through the coals by a very determined, famed and respected author called Thangam Philip who was one of many on the selection panel who in the midst of squinting, analyzing and grilling youngsters, decided on 900 of them that would make it to go through a gruelling culinary course and join the glamorous profession. I somehow felt that in the depths of a kitchen or in the nooks of a hotel room all glamour becomes work. How else would you explain the passion of the hospitality crowd? "So tell me more about life at Culinary school?" I am eager to know. "3 years of basic, quantity and exquisite, specialized cooking eventually in the final year" I learn. That is amidst hard and long hours with hands-on field experience in 7-star kitchens across the country. The whole thing is administered by the Ministry of tourism which at that time was nudging the Hotel Industry to churn out world-class products to put Indian hospitality on show at the world stage. Sanjay was an amazing product of the Food-production lab. A friend and old time colleague who was watching his production unfold on the set tells me that Sanjay was a bit of an extrovert - jovial, enthusiastic, hard working academic who not only went on to win the gold medal in 1991 at an All-India competition for culinary arts with a dazzling array of original recipes but then also managed to come out right on top when he got selected from among thousands of campus and other applicants to join the prestigious "Welcome Group Management school" with its haloed portals and training labs located within the revered portals of the 7-star "Maurya Sheraton" in New Delhi. Much of what he teaches the world and dishes out as fare at his restaurants was learned at the feet of renowned Chefs and tried and tested on elite guests that frequent Delhi?s Maurya Sheraton (Bill Clinton was apparently a fan?.all presidents from G8?.wow!). he quiet calmly tells me that the high point of his career was making the simple and humble omlette ? for none other than 7 heads of nations at a G15 summit in New Delhi. Whew! And later at the 5 star property of the group at Park Sheraton in Chennai. A lot more got added along the way when he moved to other properties within the group like the Rajputana Sheraton in Rajasthan and the Moghul Sheraton at Agra. The last pit stop was at the Welcome Group property at Vadodara. Moving to Chicago in 1997 set Sanjay up on the ramp to much bigger things when in 2 short years he wowed Chicago with what would be billed as the most authentic taste of India in the chain of restaurants that he set up. He decided to elevate his status from chain restaurateur and decided to take an early retirement. I could have laughed. Geniuses do not retire. They take long business-plan vacations. One lazy morning he woke up to put his dreams into a studio of all things. Complete with camera, lights, wires and plenty of action. Restauranting is limiting to an extent. It takes every moment of your waking day leaving very little time for new things. So I am not very surprised at Sanjay?s shift to something much bigger on the world stage. The dawn of the internet has made a few stars out of ordinary people with access to a decent camera, and bandwidth to the great www. The sprouting of YouTUBE and the social network has every enthusiast searching for answers out there. It was only a natural progression to see this gourmet hit the airwaves with all guns blazing. On September 10, his gourmet site went into a soft launch. Vahrehvah.com has the potential to shake up the Internet food portals like no other Food site has. We were interrupted (TWICE!) Once by an international phone call. It was an excited young desi viewer from Germany who called to tell him that she loved his show. I was not surprised. Then he gets a call from Dubai. I smile. "Move to Hollywood" I tell him. It would suit the lifestyle. He shrugs it off. I spent a couple of hours on the site this afternoon and the layout and design is built intuitively with allocated space for recipes classified by their origin and place on the food chart as well as by course on the menu. So for instance if you were to have a craving for Shahi Nizami cuisine and had some Chicken in the freezer and felt like making a lip-smacking entree out of it, all you have to do is access vahrehvah.com and search by chicken for an entree and Voila! You not only have the detailed recipe and cooking method and ingredients listed out but the amazing thing is you also have a video demonstration of the dish being prepared in Sanjay's chirpy and laughingly humorous manner. That is what is interesting too. I am an amateur cook myself who loves experimenting with odds and ends in the kitchen and sometimes I fancy walking into my kingdom and churning out a Nizami delicacy. What I like about Sanjay's site is that the video actually takes me through a step-by-step process to explain exactly how to go about a www.vahrehvah.com acomplishing this. For someone like me-and for you too I am sure, looking at it being prepared tells you exactly when to throw onions into the pan or why does mustard have to crackle or even what exactly goes into the Tandoori Masala you go and buy at the store. To me that rocks! It quite simply allows Mr. Nobody to impress friends and family with learnings from a gourmet. Suddenly I am chef somebody and my kids love it. I dare say I even have my wife talking about it with her girlfriends. "So what are the plans for the future?" I want to know. "Are you going to be on Oprah?" He smiles. "A long way to go", he tells me . The plan is the way most websites go. It's a free lunch for now. Literally!!! His pal having lunch with us said "Well free for now". But Sanjay shot me a glance. "I will keep it free for always he says". I have my doubts. It is a large venture with real costs for electricity, ingredients and manpower, hosting and development for the website and constant maintenance. Its a tall order to keep it free. Sanjay wants to eventually do DVDs next year to generate a revenue stream. But for now, you are in control. You want your lunch free, log on, register and enjoy it while it's still free out there. Sanjay hopes to perhaps get food majors and constituents interested enough to allow him to keep the venture free. His true passion is to get the word out about how we can cook and eat healthier with fresh food and authentic recipes. What I truly like about the site also is that it is participative. It does not lock the user out. In fact it locks them in. They register, they get hooked on his easy style and humor and ability to laugh at himself. Before they know it they are enthusiastically commenting and he is inviting them to post their own recipes on the site. A separate section on the website allows the user to claim their own spot of fame by posting recipes and videos that contribute to even more participation from fellow users. "This is going to be a food community soon" I inform him. It was irresistible. I had to go back and see what was being made today. So here I am. I am going home to try and make the Dum ka Murg tonite. The aroma on the set got to me. It looks good on the site when it was uploaded. Maybe I need to pick up some Dalchini on the way home. Thanks to Sanjay I know it's not going to be authentic without these seeds of Cassia. And now this amateur chef is empowered! Go check it out yourself. And you will be too!